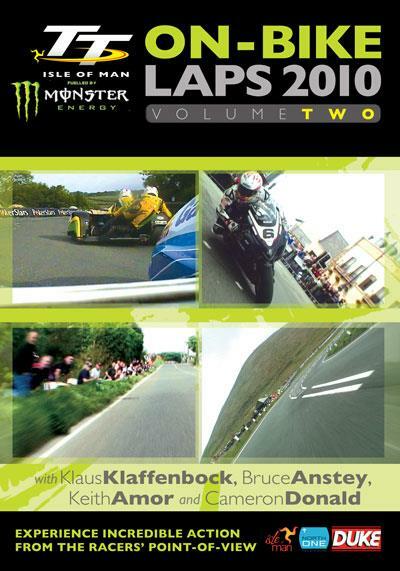 Isle of Man TT On-Bike Laps 2010 Volume 2 has been rushed out to the shops, offering four complete laps of the 37.73-mile Mountain circuit. The first three come from the six-lap Superbike TT, while the final is from the epic three-lap Sidecar race. The featured riders are Keith Amor, Cameron Donald, Bruce Anstey and former sidecar world champion Klaus Klaffenbock taking his maiden TT victory.